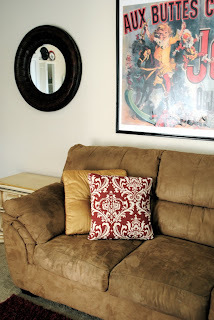 Maybe this is a super simple project (if you can sew) but when I was first learning to sew and make pillows, I didn’t know how to recover a throw easily. I wanted a pillow cover I could remove and wash if necessary, I do live with 3 boys ya know! 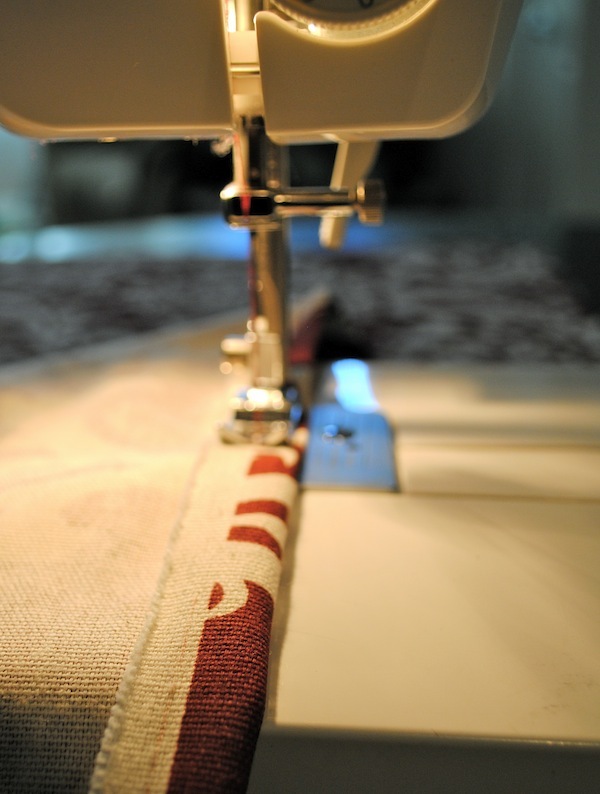 2nd – Cut your fabric into three pieces. I cut one 19×19″ for the front, and two 14×19″ for the back. 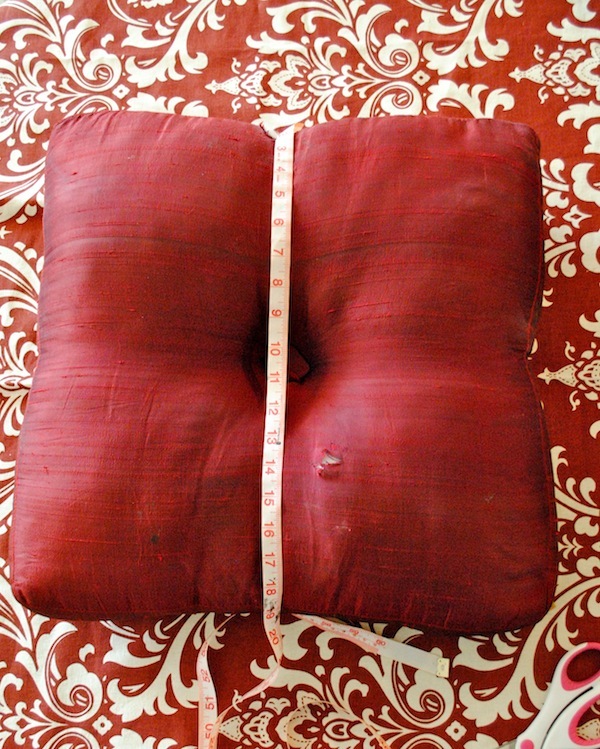 4th – You will put the pillow together. You will put the right side (print side) facing in, imagine the pillow cover turned inside out. 6th – Sew around the edges of the pillow cover. I usually round the corners to avoid them looking “dog earred” when the pillow form is inside of it. Rounding them helps them to stay perked up over time. 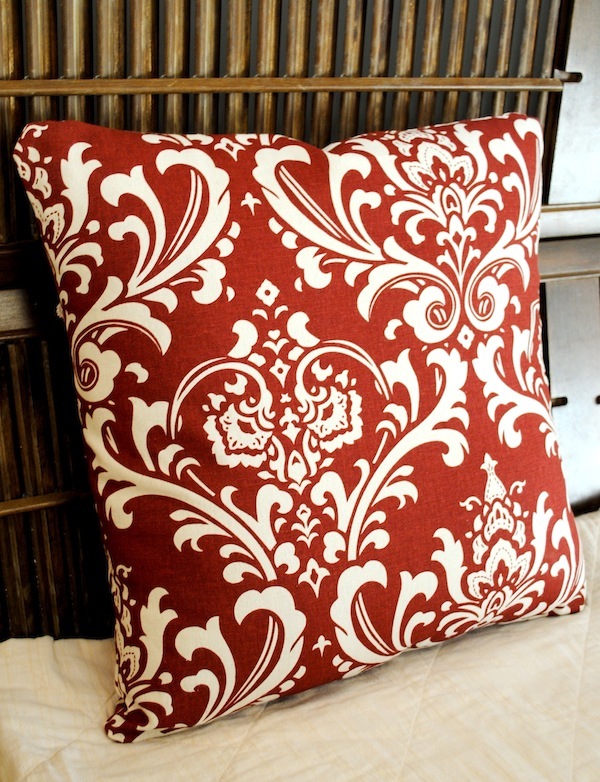 FINALLY, turn your pillow cover inside out and put a fluffy pillow inside! That’s it! So easy! Even for beginners! So Cute! I wish I could win! Thanks for the tutorial! 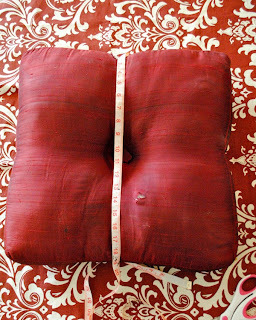 Pillow covers have been on my list for awhile… lol one day.. Oh and I had no idea you could sew over the pins if you laid them that way. Can’t wait to try it out! I hate stopping to pull out pins. 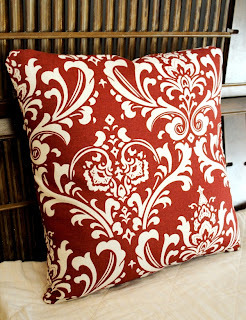 I love the fabric you chose for your pillow re-do… gorgeous! Also, thanks for the tutorial. 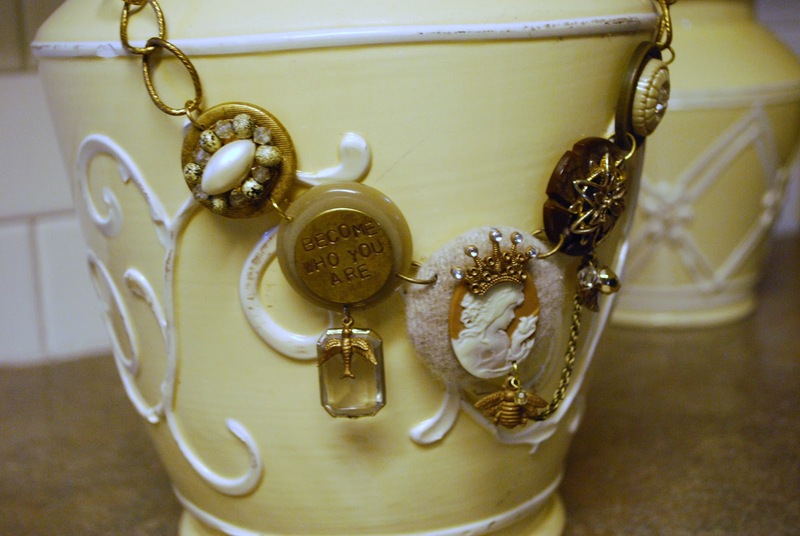 I always love posts that include pretty fabric, plus you included a tutorial. Nice job. How did you close it securely after you put the pillow inside? Thank you for the tutorial! Want to try this very soon!